Just a reminder that I am taking a break for the rest of the year from Picks of the Day, and we will pick back up in 2019! 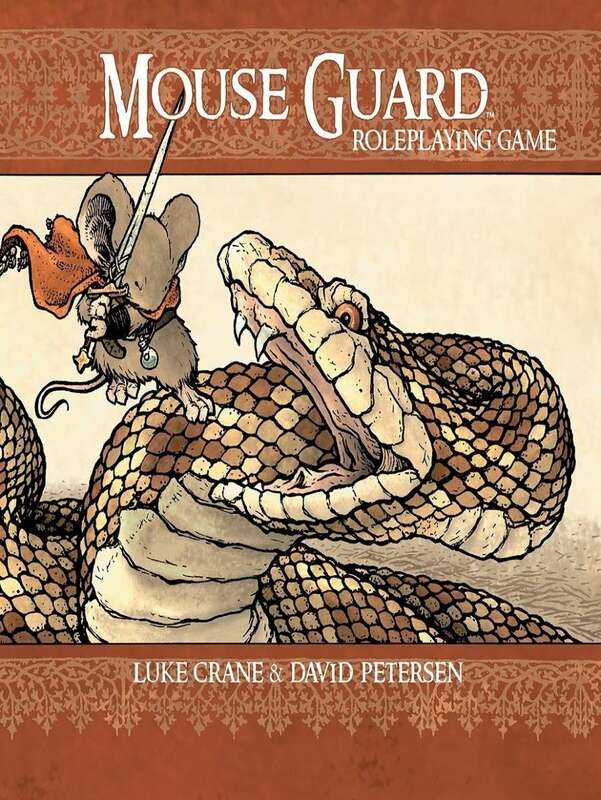 Closing out Teach Your Kids to Game Week with Mouse Guard (2d Edition) just makes too much sense to me. This is one of the definitive games when it comes to kid-friendly concepts. 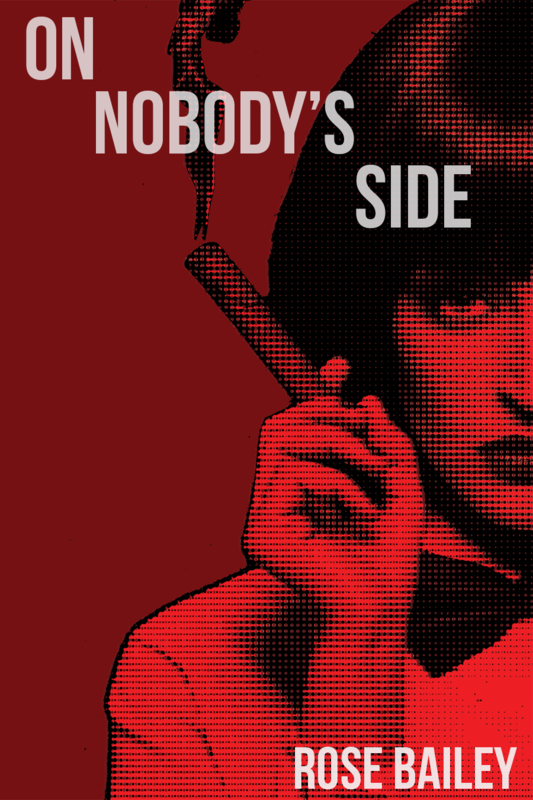 It doesn’t pull punches so much as it appeals to imagination and introduces hard ideas in a way that are easy for everyone at the table to grasp. It’s a classic graphic novel series, and the artist/creator (David Petersen) is also deeply involved with this RPG (which features the writing and design talents of Luke Crane). For Mouse Guard fans who own the original Mouse Guard Roleplaying Game Box Set, or anyone who’d like to enlist in the Mouse Guard for the first time, the second edition of the rule book is available separately as a PDF with all-new art from David Petersen. My Thursdays sometimes get way out of my control, and the added pressures of Christmas… yeah, anyway, there’s no way to talk about Teach Your Kids to Game Week without covering Hero Kids. It’s the top of the heap when it comes to kid-friendly RPGs, and there’s a ton of support and expanded options, now. 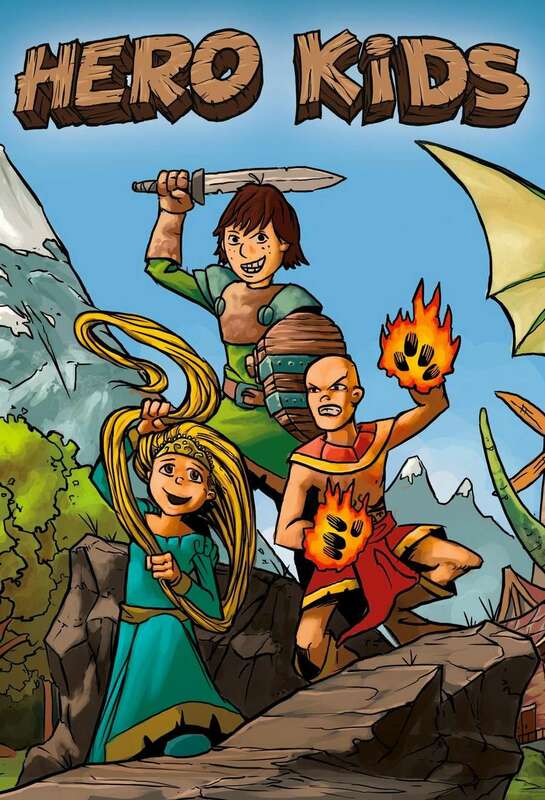 This “Complete Kids’ RPG” is a natural choice for Teach Your Kids to Game Week, designed for kids around 4 years old and up with parents and guardians. It’s meant to function like an interactive bedtime story, or otherwise serve as a way to engage youngsters in creative story play. Superheroes are hot, and kids are easily enticed to gaming with the promise of that kind of experience. The two systems I think are well-suited to younger players are Steve Kenson‘s ICONS and Chris Rutkowski‘s BASH! Steve specifically set out to create a low-complexity, easy-access supers game as a counterpoint to his highly-successful and genre-defining Mutants & Masterminds, and he excelled with ICONS. Chris literally wanted to create a game to teach extended multiplication and other math skills through RPGs, which is exactly what BASH! does. Hell, I recalled some of my own fundamentals while playing and running it! Steve Kenson, designer of the best-selling Mutants & Masterminds delivers a superpowered role-playing game inspired by the fast-playing old-school games and the new generation of narrative role-play! 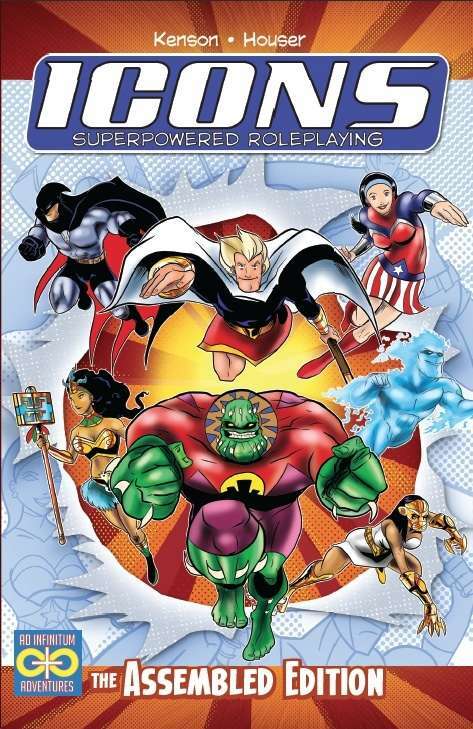 Within its pages are complete rules for character creation, abilities and powers, random adventure generation, a rogue’s gallery of villains, and all the superheroic action you can handle! 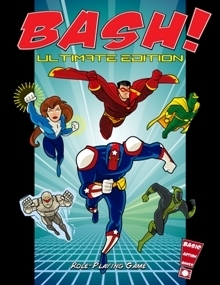 BASH! 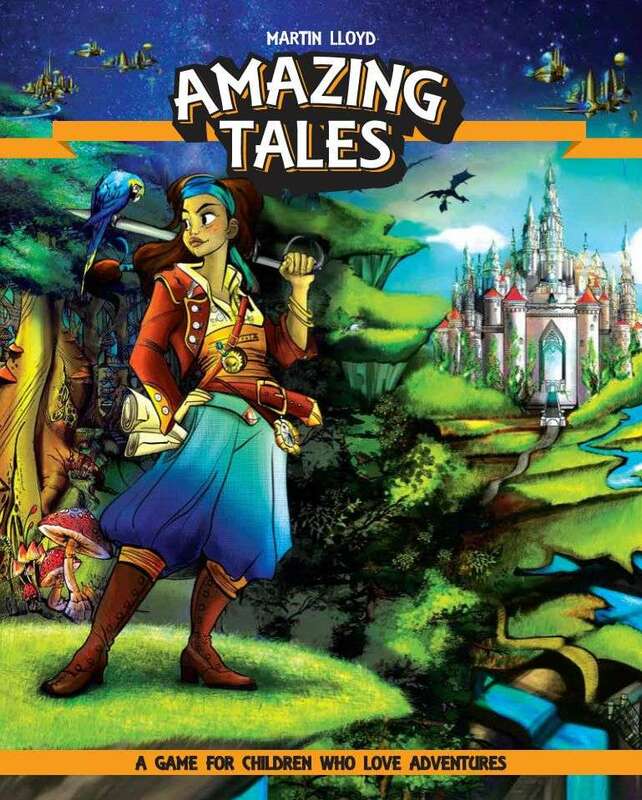 – This book has everything you need to create characters and run super-heroic adventures within minutes. The rules are light and easy all you need are two ordinary dice, a piece of paper, and this book. Character generation is so simple, you could fit all the info you need on a 3×5 card, but we included a sheet anyway. Less record-keeping, more Awesome. Energy is no longer the “default” rule for handling powers– so you have less to keep track of during play. Hero dice, Hero points, and team-work maneuvers are now a part of the core system, so you can really bring it to the bad-guys! As we run up to Christmas, DriveThruRPG is running their Teach Your Kids to Game promo, so we’ll theme the week accordingly. 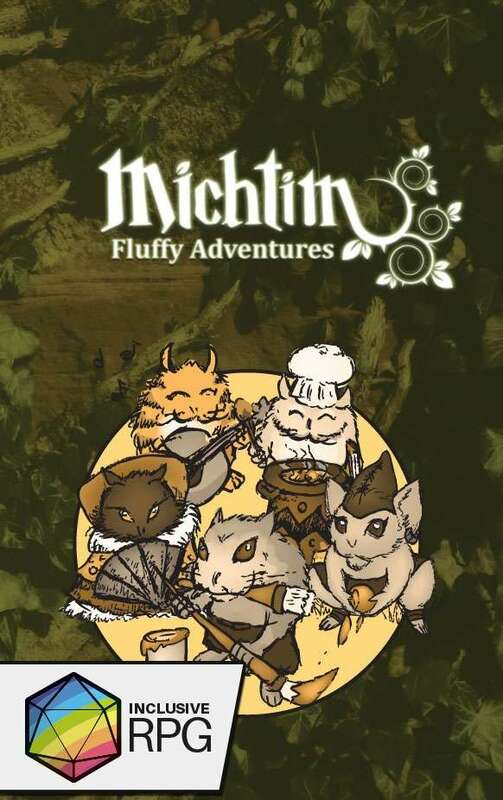 The first standout Pick for this week is Michtim: Fluffy Adventures, a game definitely all about appealing to kids and the kid in all of us. Straight up, you’re playing “Cute Heroes With Special Powers,” and the demo video has a puppet of a cute fuzzy as the GM. There’s a significant focus on inclusivity, and a proud affirmation of “indie” development. Michtims are easily mistaken for hamsters at first glance, yet they have access to magic, technology and nature’s allies. They are in constant struggle with human’s plans to take down their sacred Immergrummel woods. Nevertheless, they also know how to have a good time, because bakery festivals are an important part of their culture. 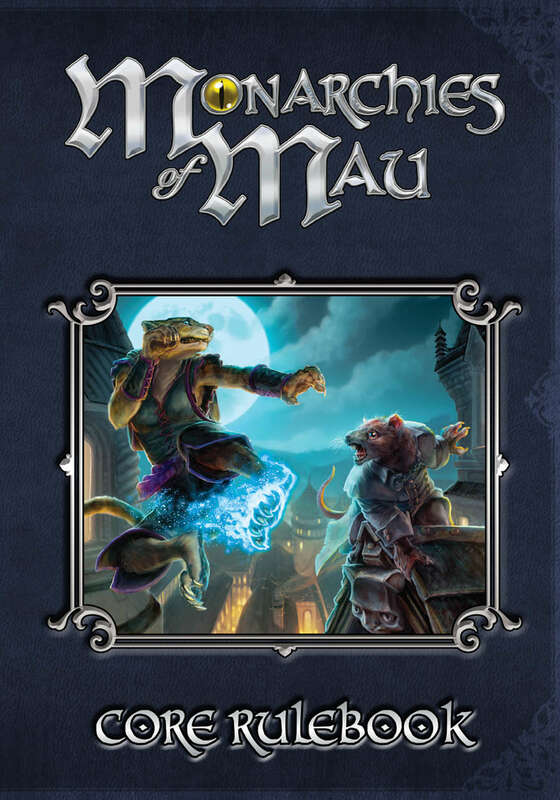 I make no apologies for the fact that Eddy Webb is both one of my favorite people and favorite creators, so it’s no surprise that the crowning Pick for New Games for Christmas Week is his much-anticipated Monarchies of Mau. The natural follow-up to Pugmire, this is nonetheless a standalone game that takes on the same world from the perspective of the cats that trust their instincts. It’s all fully compatible, as I can attest due to a wonderful crossover game Eddy ran at AndoCon last year. This one falls well within the “gaming as exploration of current events and eternal struggles” realm. Dream Askew/Dream Apart is also a definitively 21st century indie design (“no dice, no masters system”). There are actually two games here (hence the title), each dealing with the concept of belonging while not belonging. Emotional examinations, philosophical considerations, and community building are the vectors of play. If you’re ready to move beyond traditional gaming – even if only for a short diversion – this is a solid choice to take a detour with. This book contains two games of belonging outside belonging. 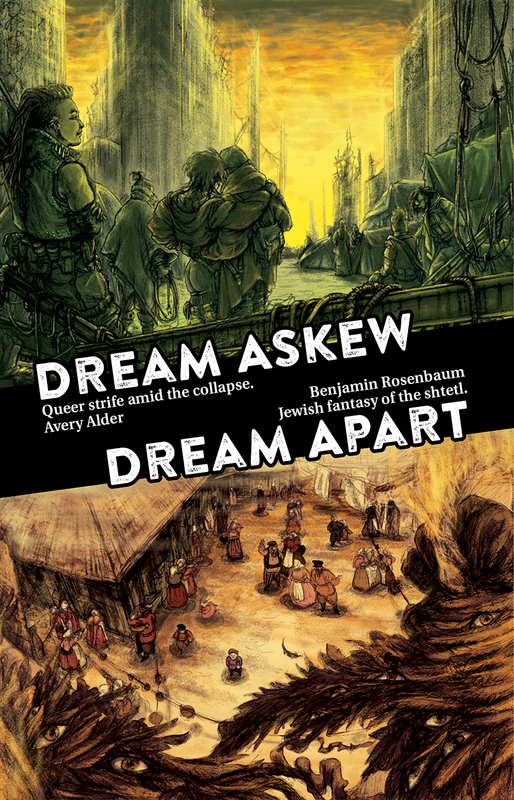 Dream Askew explores the story of a queer enclave amid the collapse of civilization. Dream Apartexplores the story of a Jewish shtetl in a fantastical version of nineteenth-century Eastern Europe. Both games are about a marginalized group of people living together in precarious community. They use a simple no dice, no masters system that puts the focus on relationships. community struggles, and player choice. Build a community together, and then make trouble within it! A thorough, beginner-friendly guide on how to play Dream Askew, Dream Apart, and other games of belonging outside belonging. Includes detailed running examples. Everything you need to play Dream Askew – the character roles, setting elements, enclave worksheet, design notes, a mediography, and a recipe to serve your friends before playing. Everything you need to play Dream Apart – the character roles, setting elements, shtetl worksheet, design notes, mediography, glossary, list of regional names, and a recipe for borsht. A step-by-step guide to designing your own games of belonging outside belonging, with wisdom on both the thematic and mechanical aspects of game design. Today’s New Games for Christmas Pick is a 5e-compatible (meaning you’ll still want the core D&D books for maximum effectiveness) setting and expansion of rules that spans the sci-fi gamut of space opera, interstellar horror, and post-humanity chrome-and-grit. 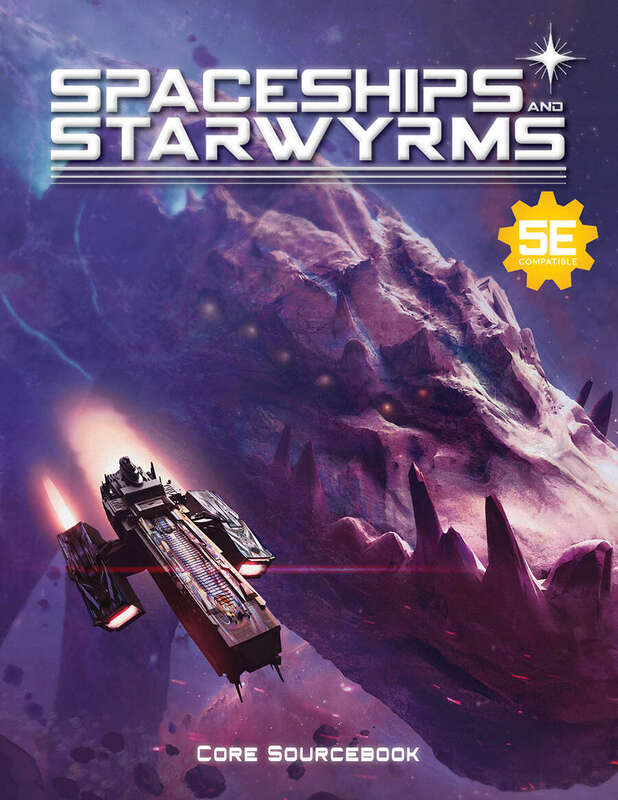 Spaceships and Starwyrms is newer-than-new, so you’ve got a great chance of being one of the first kids on your block to own and run it – or to get your favorite GM to run it, if you give it to them for Christmas! The S&S Core Sourcebook provides everything you need to play in and run all sorts of science fiction adventures, from space operas to cyberpunk runs to exploration missions and everything in between! So buckle up, spacers, and get ready to dive in at warp speed.